sewing guide: linen more from back in stock! 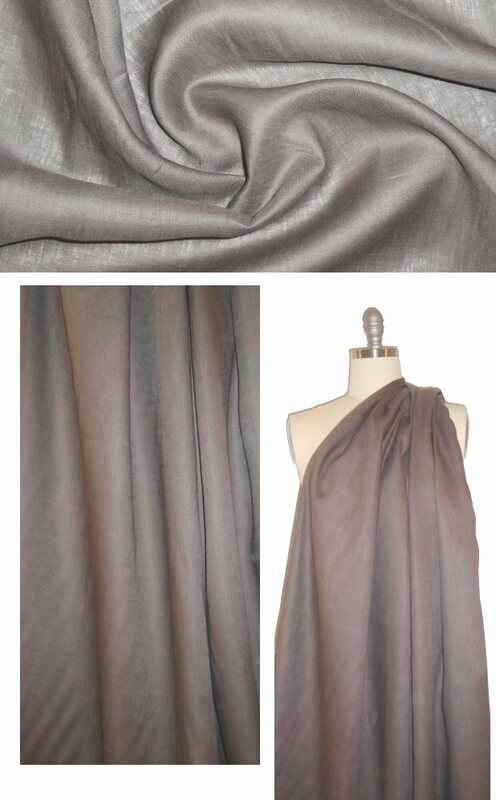 This is a lovely quality lightweight linen in a beautiful cool brown called zinc (PANTONE 17-2601). It is light weight, soft and casual with a bit of crispness and body, semi-opaque, and suitable for shirts, tunics, dresses, skirts, etc. So versatile, make any number of coordinating tops and bottoms! Dry clean or hand wash and lay flat or hang to dry.